Unique Astrology gift book gives humorous insight into Gemini personality. Click Here! Chatty Gemini is your star sign, which tells us that the Sun awakened the dual sign of the Twins in the Zodiac on your birthday. The Sun in astrology stands for our true character. The third sign of the zodiac, Gemini, a masculine sign, is ruled by the quick and lively planet Mercury, the messenger of the gods. A mutable (fluid and changeable) sign, Gemini governs communications, intellectual matters, and gossip! It is an air sign, which means Gemini people are ingenious, quick-witted communicators, although you are often restless, easily bored and can become frustrated by things moving too slowly. The Sun, ruler of our inner nature, is bright in Gemini. It favours writing, other forms of communication, and travel (although beware of running around in circles just for the sake of it, or because others have imposed on your good nature). Geminians are great talkers and are usually very much in demand socially, because you are so entertaining. You'd make a great talk-show host. Gemini is the life of the party. Click this to test your compatibility with all signs, or check out these signs, the most compatible for relationships with Gemini! Being a dual sign has (of course) both an up and a down-side. You are vitally interested in what's new and fashionable, though you have a healthy skepticism which allows you to see both sides of the image. You are a party animal, but like to sit back and analyse, or send up the whole procedure. You multiply the effects of other people's energy, but can become deflated if you are out of the limelight for any length of time. Your sharp wit and excellent powers of observation make you a good raconteur, although you have a tendency to exaggerate which can cause trouble with your relationships. You really have little faith in yourself, which you mask with ironic wit or sarcasm, but in truth you can use your flexible mind to better yourself in a surprising number of ways. You spend more time talking than eating, so you are able to stay fairly slim. Your flexible bod enjoys agile sports: gymnastics, bicycling, swimming, and so on. Favorites are tennis, racquetball and similar games involving a partner. Gemini talents include design, interior decoration, arts and crafts, magic and illusion, and music. As the day-throne of Mercury, your strengths are in communication, both the spoken and the written word, media, gossip and trivia of every conceivable variety. A mutable (changeable) sign, you are chameleon-like in your ability to blend in with your environment, yet you stand out like a beacon when you become the life of the party, with your witty remarks and seemingly limitless knowledge about all and sundry. You love zooming around, running right left and centre. As a source of information you are unparalleled and you love to keep in touch with your friends, neighbours and indeed anyone who is on your wavelength. The mobile phone, if not invented by a Gemini, was definitely invented for you – and is certainly your most treasured accessory! 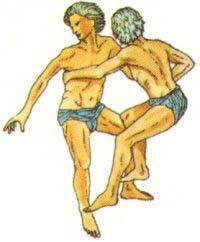 Gemini rules the hands and arms, lungs, thymus gland and upper ribs; people with Gemini active in their charts are subject to injury or infection in these areas and should resist the temptation to smoke. Geminians are also subject to mental distraction and hovering between alternatives, or attempting to pursue mutually conflicting goals. Gemini colours are yellow and light blue, and mixed colours. Your birthstone is the agate, attractively streaked with colours like the multi-faceted Geminian personality. 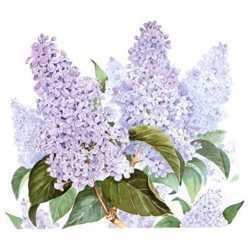 Gemini flowers include the lilac, azalea, and lily-of-the-valley.